With the ever increasing time constraints placed on your busy HR department, payslip printing and distribution is time critical to ensuring your employees receive their pay slips on time. Outsourcing payroll printing to a third party doesn’t have to be a scary business. Digital Print Management can design a service to help you. We can print weekly, monthly or on an ad-hoc basis payslips, P45s, P60s and P11Ds distribute them directly to your employees in paper payslip or online payslip format. We provide an outsourced payroll printing service that is customised for the needs of the HR department. There is no need to change the way you work as an organisation. You produce the payroll data file and manage queries, we print and distribute or present online payroll documents – payslips, P60s, P45s P11ds all from your payroll data file. 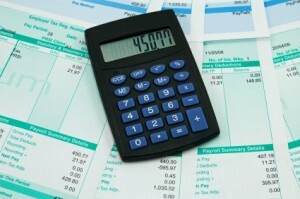 Outsourcing payroll printing couldn’t be safer or simpler you remove a non value adding activity from the payroll team. Printing, collating and mailing auto-enrolment documents can be a time consuming and thankless task for HR, Payroll and Pension teams. Mailings are cost effective because HR, Pension and Payroll departments are seldom equipped to handle complex mailings. We are document experts and we process and mail thousands of items daily therefore we can provide cost effective mailing options and show process efficiency improvements. As a payroll printing bureau part of auto-enrolment is ensuring the right information gets to employees at the right time. Document printing is our business and we have the personnel, resources and capacity to respond to your project timelines. Would you like to be able to communicate important messages to employees via your payslips? How effective are your internal communications? Would your employees benefit from payslip messages? Ensuring company updates, change notifications and internal communications to employees isn’t easy ensuring they are read even harder. Emails don’t get read or are missed and employees may not have online access. By combining existing documents such as payslips, pension statements and rewards information with personalised employee messages or creating new documents that are clear and easy to read and understand. Documents are printed or presented online. Using the latest digital print technology messages are added to the payslip in colour or black and white, printed as images or text. It’s a great solution for staff reminders or announcements and with messages printed directly on to the payslip there’s no extra paper required and no additional print costs. Different messages can be added to different groups of employees all without extra print costs. For more information and samples of Digital Print Management payslips please call on 01234-271156. Implementing epayslips offers a significant saving on time and money as well as reducing the demands of your payroll team. A secure payslip service that is accessible from any mobile device. Digital Print Management presents thousands of payslips online each year and customers remain with us because our service is secure, robust and reliable. Transferring your existing payroll data to our epayslip service is easy.